Packaging and postage can be very time-consuming for successful home-based businesses. Investing in a franking machine can save you up to a third on your postal costs, as well as a lot of time and effort. It’s a popular choice for SMEs and it covers all forms of post. Here are four signs that indicate your business has probably outgrown your dispatch process – and that it’s time to think again. Are you drowning under a sea of stamps, envelopes and packages? Have you roped in friends and family members to help with the mountains of products that need to be sent out? Have you started experimenting with ways to save time? Do you wake up each day desperately thinking about meeting the post deadlines? Has the success of your business actually become a source of stress? It shouldn’t. Does your business tick along nicely for most of the year interspersed with sudden surges in demand? Too often, companies manage their dispatch as if long periods of low demand are “normal” while failing to invest to provide customers with adequate service when demand is heavy. Of course, you should not jump into a new system immediately. It may be better to employ some temporary staff or family friends to help out at first. But if you can discern a pattern, or the popularity hasn’t let up, then it’s probably time to rethink and streamline your dispatch system to match demand. No-one likes waiting in line at the Post Office. It can be a real nightmare if Post Office trips are at the expense of business calls, sales meetings or production. 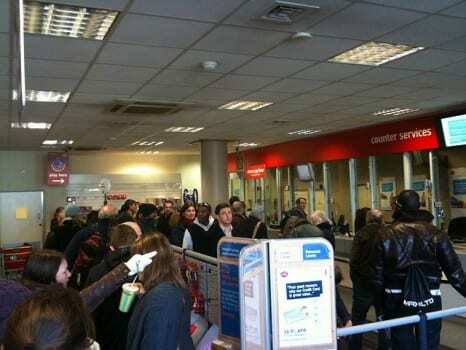 Then, there is the nightmare journey through traffic to reach the Post Office desk before it closes. Would franking extend the time available to you and take the pressure off? If you find that you regularly have to reach out to customers to apologise for delivery delays, it’s time to take a serious look at your dispatch as well as your internal processes and time management. But is it good news if you hear nothing from your customers? Many small businesses communicate excellently with new customers and gain good reviews for the timeliness of their initial deliveries. But they don’t always maintain that speedy order fulfilment after the initial adrenalin rush. You may not notice that you are slipping up. Customers may not tell you. If you used to receive positive compliments on the quality of your service but they have dried up, perhaps it is time that you check out why? A Franking machine enables you to meet nearly all your postal needs in your own home. Franking machines with a weighing table are of particular benefit to SMEs that send out a range of products. Franking is 30% cheaper than buying stamps. Putting credit on your franking machine is easy and you will never again face the worry that you will run out of stamps. You can customise your franking to show the logo of your business and a slogan, giving a professional look to your post. Automated franking eliminates human errors such as over or underpayment. Franking machines can print a return address on envelopes and packages. You can either opt to buy yourself a franking machine or rent one, depending on your needs. Many services offer a free trail. Don’t lose control of your business. Keep a constant watch on whether postage and packaging is eating into your time. Have a look online and discover if franking may be a better fit for you. I think franking machines are good things for all businesses of all different sizes to get and are definitely something I would recommend.